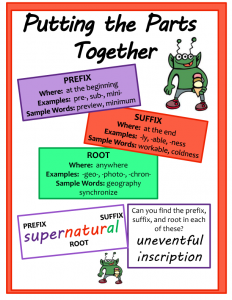 Prefixes, suffixes and roots – it’s such a big subject to cover! 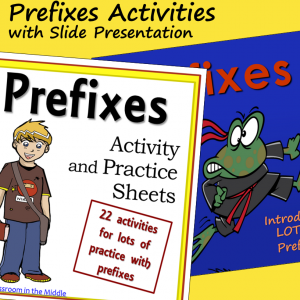 Once the kids have the concept, that’s only the beginning – there are so many affixes or roots in each group to introduce the kids to that it can really be an ongoing project rather than a one-time unit. And just when you think things are really rolling along, there is sure to be one or two kids who forgot the basic parts that you were sure they learned ages ago! Post it on another wall for a second reminder. 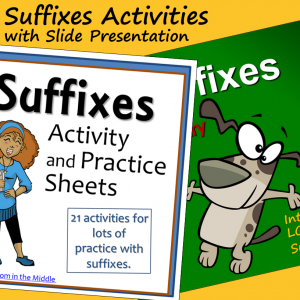 Throw it up on the screen while the kids are practicing with some new affixes. 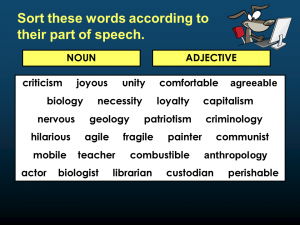 Print it out for students’ notebooks. 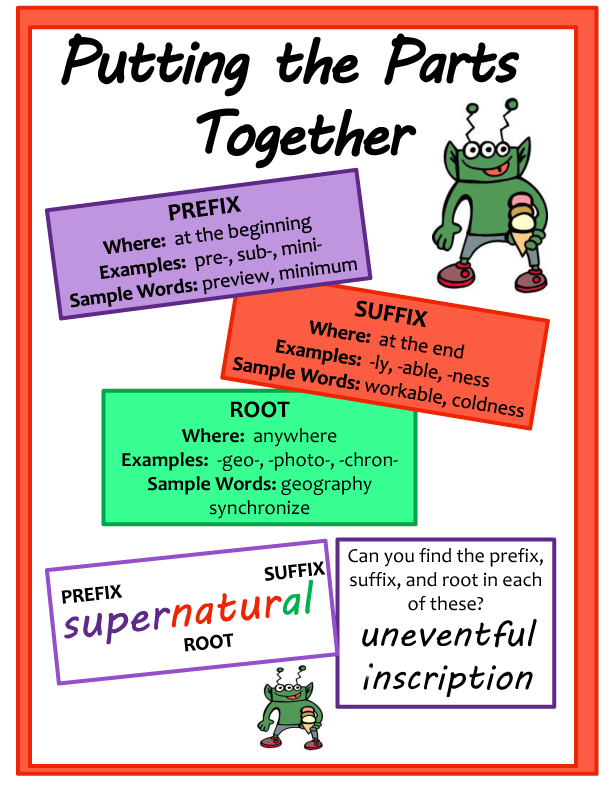 You can download a free copy of the chart here: Prefixes, Suffixes, and Roots Anchor Chart. 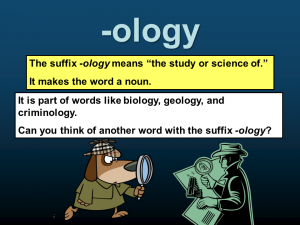 If you would like to take a look at the new and revised vocabulary resources from Classroom in the Middle, here are some sample pages from the Suffix Activity Sheets and the Slide Presentation. 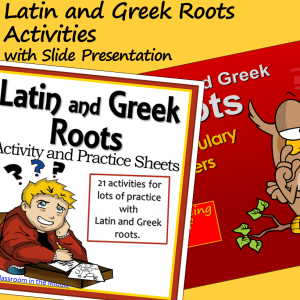 There are links to the prefix, suffix, and roots resources below. For a closer look at any of them, follow the link and download the preview. 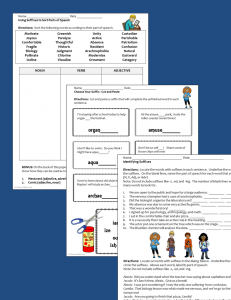 Or you can see all the resources for prefixes, suffixes, roots, plus other vocabulary skills such as multiple meaning words, figurative language, and context clues here.